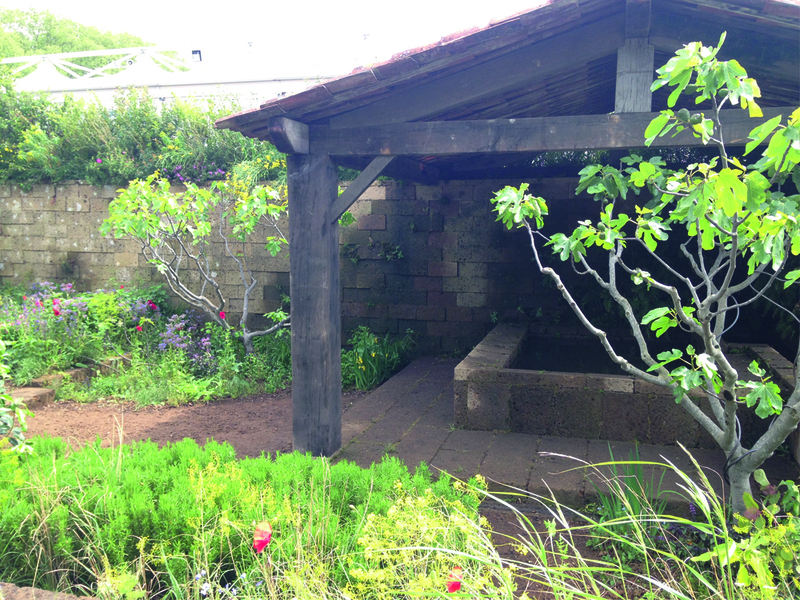 L’Occitane return to the RHS Chelsea Flower Show with a fragrant perfumers garden, and scoops gold in the process. There’s one thing that’s always unpredictable about the RHS Chelsea Flower Show and that’s the weather; it’s potluck whether you’ll be wilting under blistering sunshine, taking shelter where you can, or there’s every possibility you’ll find yourself cowering underneath a weakening umbrella as the heavens unleash apocalypse-worthy rain. This year it was the latter and I’m still soggy. One thing you can be pretty certain of however is that Marie Claire favourite L’Occitane will pull an Oscar worthy garden out of the bag. 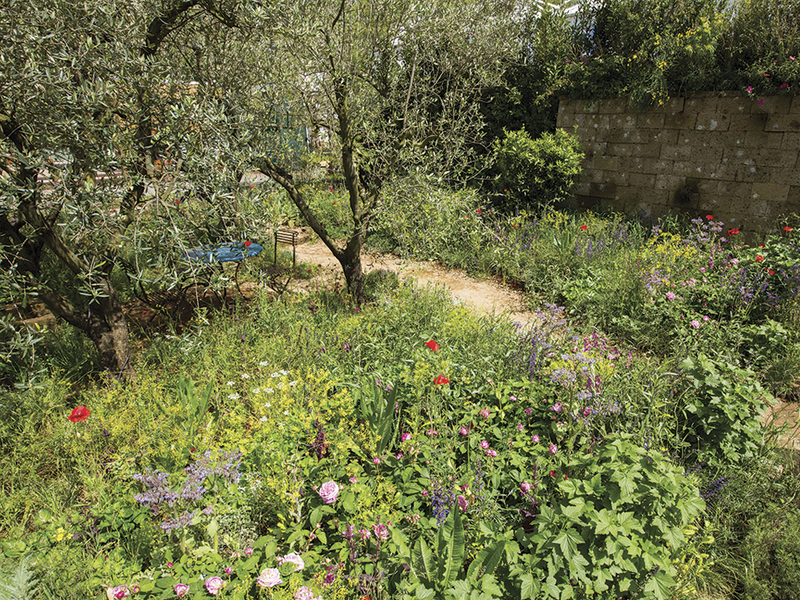 This year L’Occitane looked to the epicenter of the fragrance industry, Grasse in France, for their garden ‘A Perfumer’s Garden in Grasse’. Garden designer James Basson (who has won a bunch of awards) cultivated the most fragrant of gardens using plants, trees and herbs that feature heavily in perfumery. Bushes of fragrant Rosemary and Clary nestle in with Thyme, Lavender and Bergamot, while Osmanthus, Rose, Peonies, Iris and Cistus create a softness that draws in the eye. And it’s all sheltered under the protective branches of olive and fig trees. The Lavoir (a modest building found in traditional Provençal villages where you would wash your linen in herb scented water) looks beautiful – and authentic, like it has been standing in the garden for centuries – and provides some welcome shelter from the bloody-minded English weather. It’s hardly surprising that the power’s-that-be presented L’Occitane with a coveted gold award this week. Naturally the garden smells heavenly, and even more so when the sun makes an appearance and warms the herbs. 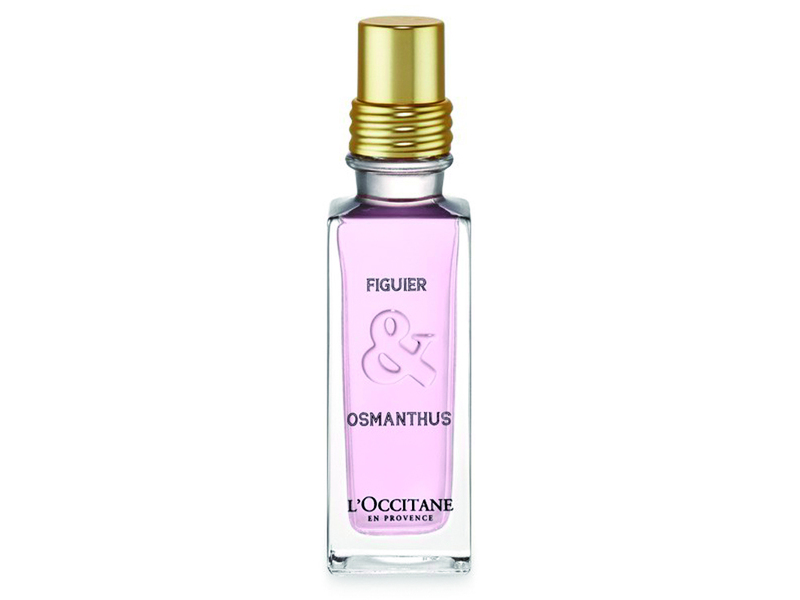 If you want to bring the scent to your own home – or indeed your skin – then L’Occitane’s delicious Figuier & Osmanthus, £28 for 30ml edt, captures the feel. Now, what do I have to do to convince James to pay a little attention to my uninspiring patch of earth at home?